Dentures are custom-made replacements for missing teeth that are completely removable. If you have lost your teeth due to injury, extensive decay, or gum disease, dentures may be a great way to replace your missing teeth and get your smile back. There are 2 different types of dentures,full and partial. 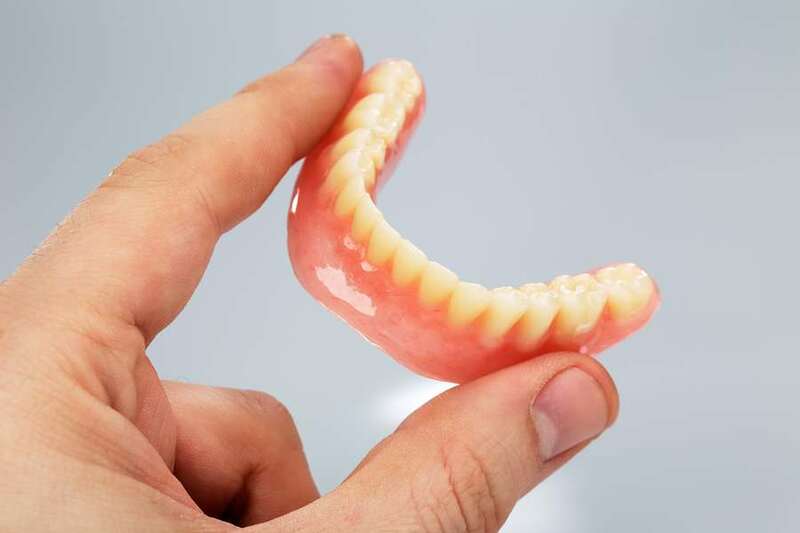 Partial dentures are suitable for patients who have not lost all of their natural teeth.They have metal framework that is attached to remaining teeth in order to hold the dentures in place. Full or complete dentures are recommended for patients who do not have any natural teeth. They can be either conventional or immediate. Conventional dentures are made and inserted after all the teeth have been removed and the gums and jaws have healed, which might take up to several months. Immediate dentures are ready for wearing as soon as all of the remaining teeth are extracted and before the healing process is over. Without natural teeth, speaking and eating become uncomfortable and your facial appearance deteriorates. Wearing dentures will fix these problems. However, it will take time for you to get accustomed to your new teeth, and some practice to learn how to talk and eat. You might experience some soreness or irritation. But, over time all these problems should go away as the mouth adapts to new dentures and you will be able to enjoy eating again and your new look. In order to prevent plaque build-up and make your dentures last longer you are required to maintain good oral hygiene.Regular check-ups with the dentist are also needed so the fit of your dentures can be checked, as well as the overall health of your mouth. But most importantly,do not forget to wear your dentures with a matching smile!